Real estate can be one of the most profitable and secure investments for individuals who do their research and put energy into efficiently managing their properties. I bought my first property when I was 21 and officially entered the investment game when I purchased my second property a few years later. 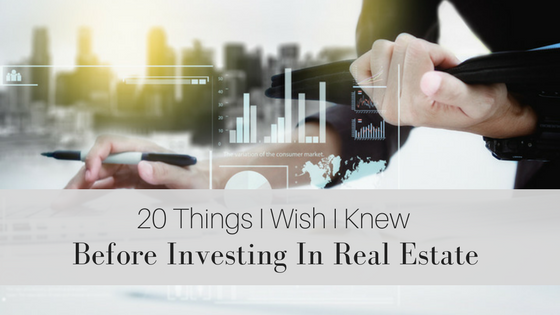 As my investment portfolio grew, I spent a ton of time talking to other investors, managers, and experienced landlords, attending REI meetings, and reading as much information as possible. I wanted to find out every good and bad situation that could potentially happen during my future as a real estate investor. It has now been more than 10 years since I first called myself an investor, and there are a few things I learned along the way that I wish I had known in those first few years. Thankfully, I have never had to evict a tenant (thanks to extremely thorough tenant screening best practices) and the rental market has remained competitive enough for my longest vacancy to only be 1 month. 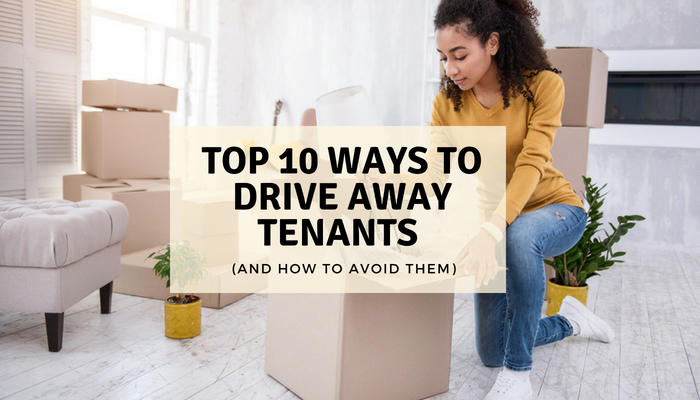 While I have been fortunate enough to have a successful rental management history, here are some of the most surprising and important things I learned about owning rental property along they way. 1. I can’t just change the locks on a renter who didn’t pay his rent. 2. If a renter doesn’t pay rent, it can take up to 12 weeks before the property is actually vacant if I have to evict him. 3. I can’t make any money or profit on a security deposit. 5. Renters don’t care that there has been a leak under the sink for 6 months. They might finally report it when the floor starts crumbling though. 6. If I don’t return the security deposit funds back to my renter with a designated timeline, I could end up owning my renter money (even if he damaged my property!). 7. In Portland, you could have to pay a renter $3,000 to move out if they can’t afford a rent increase. I wonder what is it in my state? 8. If I don’t keep my tenant’s security deposit funds in separate account I could be fined. 9. I have to constantly Google myself to find out what my disgruntled renters are saying about me. 10. My renters will complain when I show up to do routine inspections, even though it’s clearly stated in the lease they signed. 11. Even though rent is due on the 1st, since I allow a 5 day grace period, I will ALWAYS get paid on the 5th. 12. 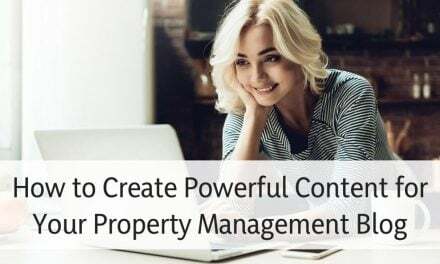 There is software for managing rentals that lets me do everything online. Start now, so you don’t have to later. 13. Renters lie, even the nice ones. Credit reports don’t. 14. A roof really can cost $15,000 to replace? 15. I seriously have to re-paint the house every 10 years, and it costs $3,000!? 16. Spending a hundred dollars a year to clean my gutters can actually save me thousands in water damage. 17. I’m limited by my state on how much I can collect in late fees. Usually it’s less than 5% of the rent. 18. Checking prior landlord references is super important, because a tenant might have been kicked out, but not officially evicted so it won’t show up on an eviction report. 19. As a landlord, I’m allowed to pull credit, criminal, and eviction reports on all the applicants. And I don’t have to pay for it, the renter does. 20. 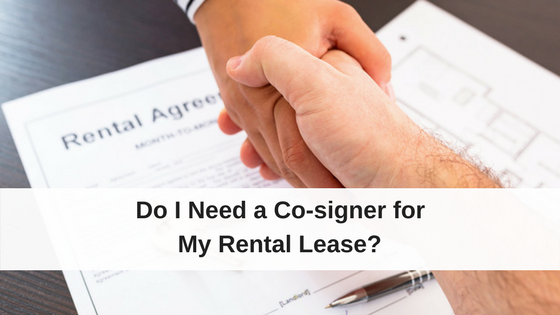 If I enter the rental without proper notice, I might owe my tenant a free month’s rent. Twelve unannounced entries is a free year of rent. If you don’t have personal boundaries then the tenant will always game you. They will ask and ask then whine “beyond disappointed” if you say no. You are The Adversary. If a newbie cannot handle this, don’t even think of real estate investing, or grow a spine and look at cost of every little thing. Become a good bookkeeper and build the right team. In the end it is worth it. Building a careful business relationship can teach you much about life, and is a useful tool you can apply to all other relationships. Worth t! Excellent points about keeping good books and building the right team. It’s important to have experience behind you when managing what might be your biggest investment ever. It’s no reason to shy away from the industry if you are just getting into it as a brand new landlord though. It’s a viable, thriving business, and amazing opportunities exist for those who do it right. Regarding #16: Is gutter cleaning necessary if there are no trees around? No trees means less gutter clutter, but it’s still a good idea to inspect them annually. If you have a composition roof, the rain washes down sandy particles from the roof which can build up over time. Also, you want to inspect for leaks to make sure the gutters are routing the water properly to the downspouts and away from the house.